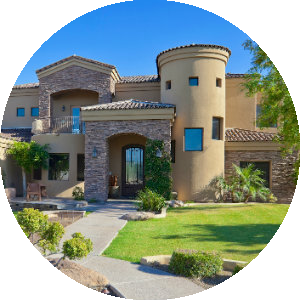 See today's North Phoenix homes for sale & Phoenix AZ real estate listings below. As the fifth largest metropolitan city in the US, Phoenix has become a common spot for tourists and new residents. The natural beauty of the desert region, the magnificent mountain scenery as well as the sunny climate has made this metropolitan area a vibrant economic force. North Phoenix contains the perfect blend of city living and a healthy appreciation of the great outdoors. 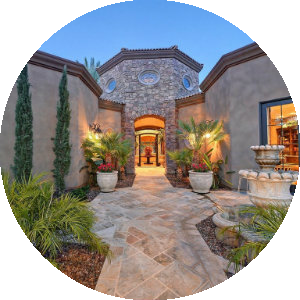 The suburban area designated as North Phoenix is comprised of Paradise Valley, North Mountain, Deer Valley, Desert View, and Happy Valley. The area offers quite a diverse assortment of homes from which to choose. These growing residential communities are in demand as the real estate market continues to increase with the improved economy. 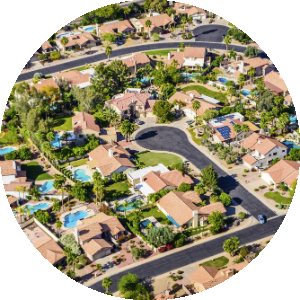 Get exclusive information about North Phoenix neighborhood properties, or schedule a home showing today - contact your Phoenix Arizona real estate specialists now!